SEATS ARE STILL AVAILABLE. COME TO BOWTIE MARQUIS AT 100 QUARRY RD IN TRUMBULL AT 7PM TO JOIN US AT THE SHOW! TEXT JEFF YATES AT 203-216-7078 WITH QUESTIONS. 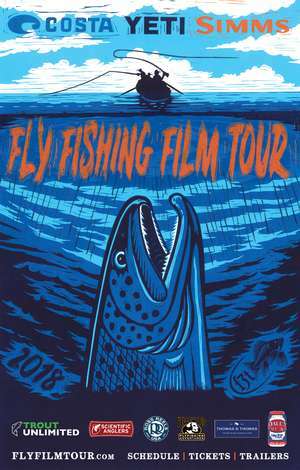 Join the Candlewood Valley, Mianus and Nutmeg Chapters of Trout Unlimited for a fun night of fishing films and camaraderie, all to benefit local conservation work and youth education programs in Fairfield County. Along with a great night of films and fun, there will be an incredible raffle and a cash bar to help you shake off this winter, beat cabin fever and dream of warmer days ahead. Doors open at 6pm - Tickets are $25 in advance or $30 at the door if available. Details and information are available online at Candlewood Valley TU, Mianus Chapter TU, and Nutmeg Chapter TU. For information please contact Jeff Yates at jyates@mianustu.org.